This is a Insights sent by New Launch Guru on 26 Sep 2016. Re-posted. The average size of transacted condos and apartments has shrunk from 1,281 sq ft in 2009 to 1,079 sq ft in 2015. With new four- and five-room HDB flats averaging 969 sq ft and 1,184 sq ft respectively, what are the options available to aspiring upgraders looking for condos of similar size? 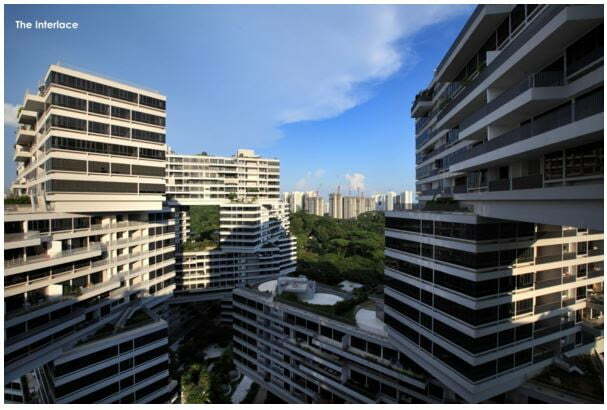 Below are the most affordable condos and apartments in the 10 largest HDB towns. The units are between 1,000 and 1,200 sq ft in size and completed up to 10 years ago. The Calrose, a freehold development is located less than 200m from the upcoming Lentor MRT station of the Thomson-East Coast Line, which is slated to be completed in 2020. Four units were transacted this year at an average price of $1,100 psf. The 1,141 sq ft unit was sold at $1,153 psf, or $1.32 million. Condo prices in Bedok averaged $1,271 psf in 2016. At Archipelago, a 99-year leasehold condominium on Bedok Reservoir Road, one transaction involved a unit measuring between 1,000 and 1,200 sq ft. The 1,033 sq ft unit changed hands at $958 psf in May. The upcoming Bedok North MRT station, expected to be completed in 2017, will be located about 400m from the project. With an average price of $1,060 psf in 2016, The Interlace offers a value proposition for buyers. Meanwhile, condo prices in Bukit Merah averaged $1,600 psf this year. This year, three units measuring between 1,000 and 1,200 sq ft changed hands at an average price of $1,277 psf, or $1.35 million. The project clinched the prestigious World Building of the Year title in 2015. The site is nestled within the Southern Ridges, a 10km stretch of greenery. Those with a budget of less than $1 million might consider Mi Casa, a 99-year leasehold project located about 400m from Choa Chu Kang MRT station. Three 1,119 sq ft, two-bedroom units were sold at an average price of $839 psf this year, or below $1 million. Prominent amenities in the vicinity include Lot One Shoppers’ Mall and South View Primary School. A few condos in Hougang such as The Minton, Parc Vera and Riversails offer attractive price tags at below $1,000 psf. The biggest development is 1,145-unit The Minton. Prices for 1,000 to 1,200 sq ft condo units at The Minton averaged $952 psf this year. The Minton is surrounded by prominent schools such as Paya Lebar Methodist Girls’ School (Primary), Maris Stella High School, Cedar Primary School and CHIJ Our Lady of Good Counsel. Condo prices in Jurong spiked from $628 psf in 2008 to $1,279 psf in 2016, as the area underwent a transformation into a lakeside business and leisure destination. The Lakeshore currently offers the most affordable units in the area. Ten units ranging from 1,000 to 1,200 sq ft in size were transacted at $1,044 psf this year. Completed in 2008, The Lakeshore is located a mere 200m from the Lakeside MRT station and across the Jurong Lake. High Park Residences offers the most affordable condo units in Sengkang, where prices for 1,000 to 1,200 sq ft units averaged $919 psf this year. Trailing closely is The Quartz adjacent to Buangkok MRT station, where similar-sized units went for $946 psf on average this year. Tampines was the first regional centre to be developed, before Jurong and Woodlands. The tranquil enclave of Tampines Avenue 1/10, fronted by Tampines Quarry and Bedok Reservoir, is home to the most affordable condos in Tampines — Waterview and The Santorini. Prices of 1,000 to 1,200 sq ft units averaged $982 psf at Waterview and $1,004 psf at The Santorini. The Estuary offers the most affordable units in Yishun and a waterfront lifestyle. The 608-unit development is fronted by the Lower Seletar Reservoir Park. Prices for 1,000 to 1,200 sq ft unit at the development averaged $795 psf. Woodlands will be the last of the three regional centres to be developed, after Tampines and Jurong. Rosewood Suites offers the most affordable condo units in Woodlands, where 1,000 to 1,200 sq ft units went for below $1 million, or $793 psf on average this year.